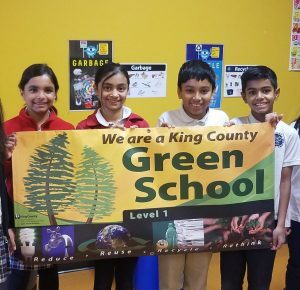 We are a Level One King County Green School! 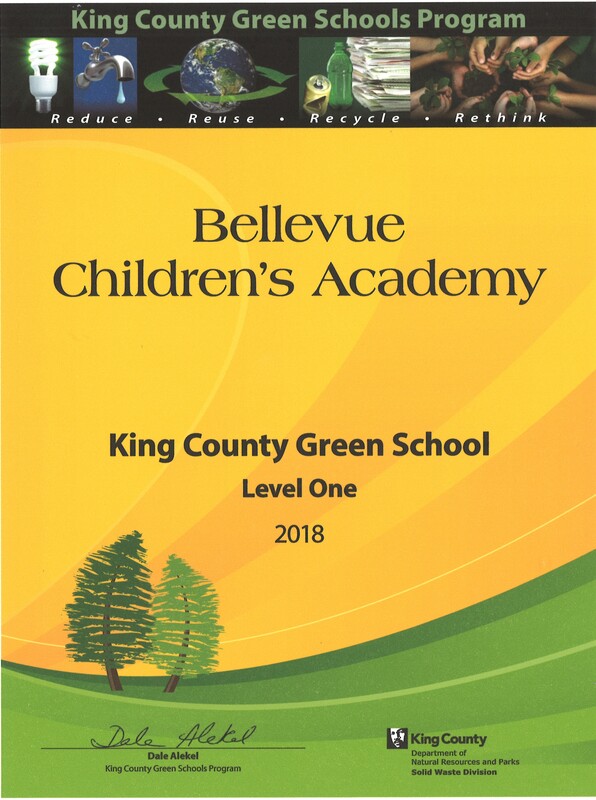 BCA is proud to announce that we have earned Level 1 Green School Certification for the King County Green Schools Program. Students are actively recycling each day and adding food waste to the cafeteria compost bins. 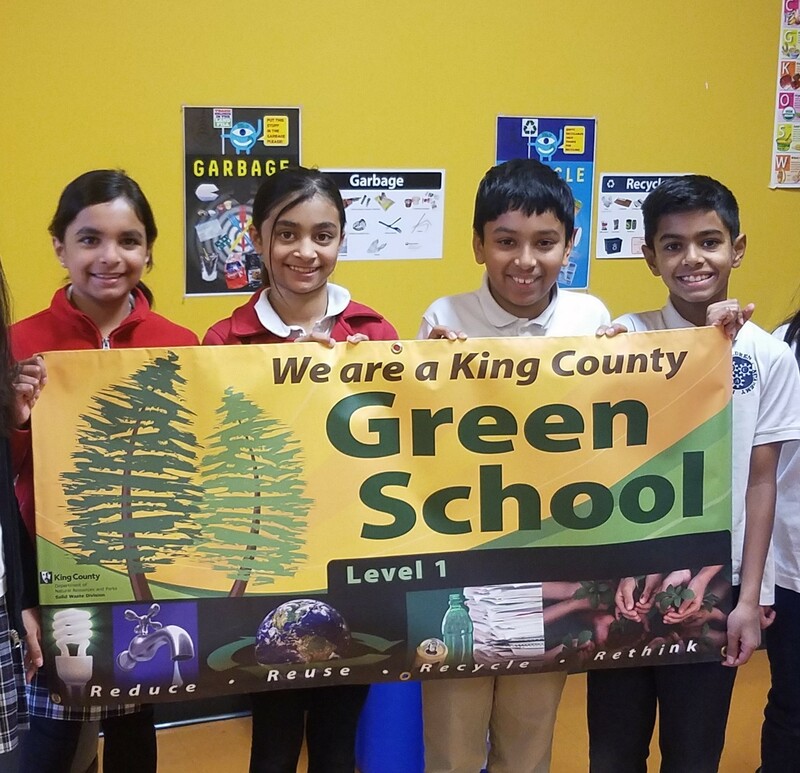 We are happy to have joined more than 200 schools in this program to involve students in conservation efforts! Go Green! 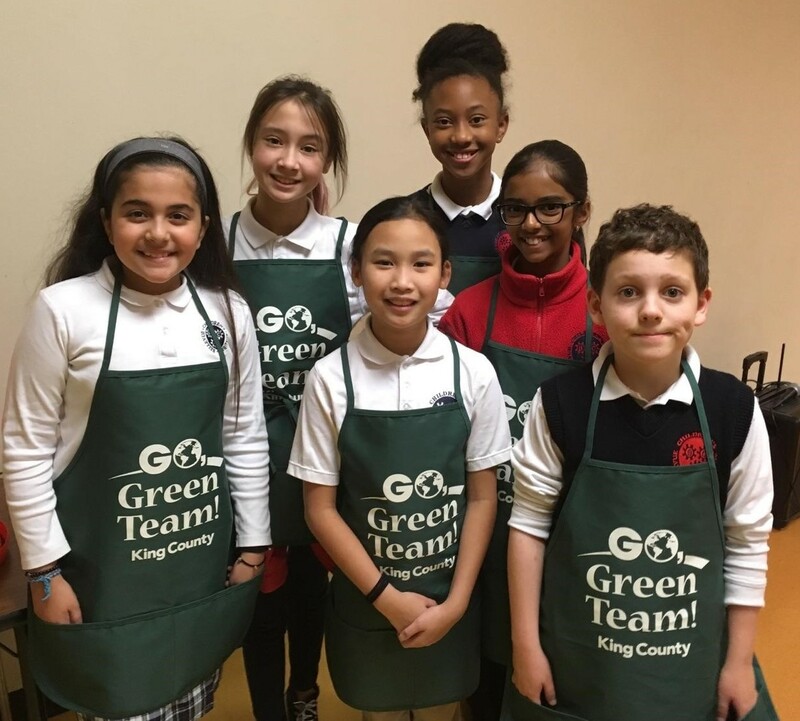 Please visit the King County Website for more information about the Green Schools Program. Bellevue Children’s Academy partners with our local and global communities in dynamic and diverse ways. For further information regarding potential partnerships, please contact the school.